One of Insight Observatory's goals is to introduce secondary school and college students to the art of imaging the night sky remotely. I recently had the pleasure of doing so with a student at Williams College located Williamstown, Massachusetts. Nicole was entering her freshman year with major in astrophysics and a minor in art (with a concentration in photography). Being that Nicole has a profound interest in astronomy, her father presented her with a gift of a remote imaging session with Insight Observatory for Christmas. Nicole and I set up an appointment to meet via Skype so I could introduce her to the process of remote deep-sky imaging. It was a Saturday afternoon here in the northeast so we needed to image in Australia where it was the middle of the night. As the process of remote imaging was new to this astrophysics student, I wanted to start off with introducing her to the basics of CCD digital imaging. 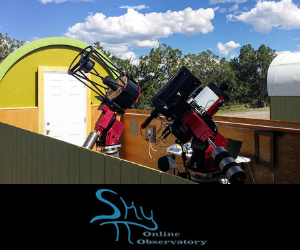 Nicole and I covered the contemporary way of imaging deep-sky objects through a remote robotic telescope accompanied with a CCD imaging system. 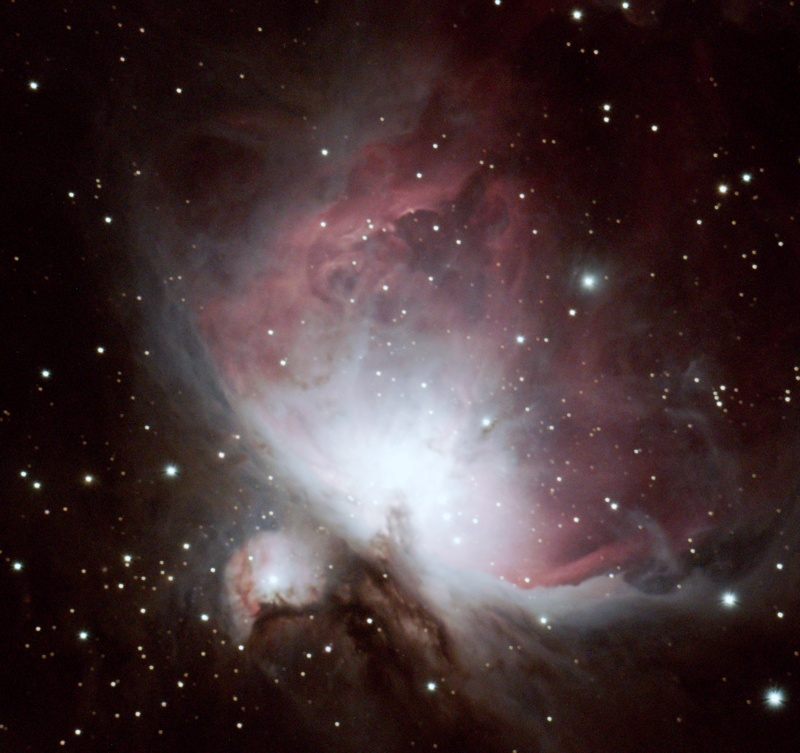 NGC 1365 in Fornax - 600 Second Image by Nicole F.
As we logged on to the remote telescope network, iTelescope.net, I decided we should start with the 90mm refractor telescope that is equipped with an SBIG ST2000 XMC One-Shot Color CCD camera. This instrument will take a color image and there is no need to stack multiple monochrome images. I figured this would be a good place to start with taking her very first image. Sharing her computer screen with me via Skype, I had her log into the remote telescope's interface and select an object to image. This remote telescope network that Insight Observatory uses suggests the best deep-sky object to image with the telescope you are connected to. One of the suggested deep-sky objects to be imaged was NGC 1365. This object, also known as the Great Barred Spiral Galaxy, is a barred spiral galaxy about 56 million light-years away in the southern constellation Fornax. Nicole then started a 600-second exposure of the galaxy and as she patiently waited for a preview of the image, we discussed more in-depth advanced methods of CCD imaging such as stacking images, using different types of filters, etc. NGC 300 in Sculptor - 600 Second Image by Nicole F.
Once the 10-minute image was completed, Nicole and I were able to view the result. Nicole was impressed with how fine the detail was in the galaxy for such a short exposure. 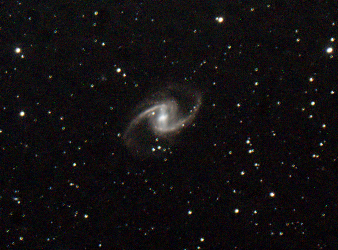 We then moved on to image another galaxy, NGC 300, a spiral galaxy in the constellation Sculptor. Nicole followed the same process as the previous image. 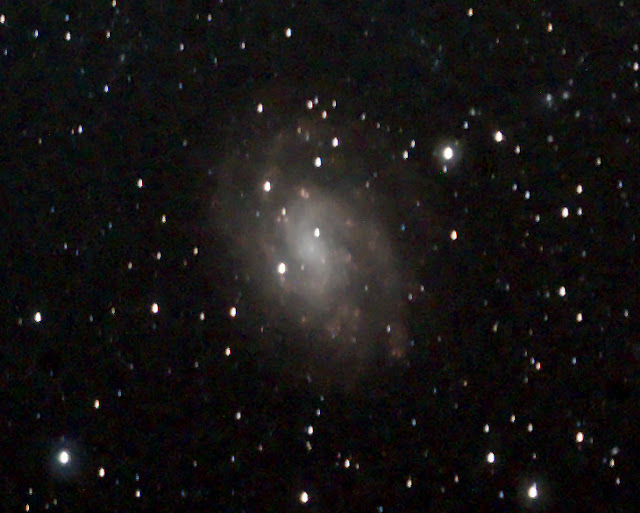 After seeing the result of her image of NGC 300, she was amazed at how different the characteristics were between both galaxies. As our one hour imaging session was wrapping up, Nicole shared the fact that she had a great experience with her first time imaging with a remote robotic telescope. As for me, it was very rewarding sharing the experience with her and I look forward to sharing more experiences like hers with other secondary school and college students.